You can find your thyroid at the base of your neck. It’s a small, butterfly-shaped gland that is supposed to make a very important hormone that controls how fast your body burns calories, how fast your heart beats, and more. A disease of the thyroid can range in extent and severity, but most people suffer specifically from thyroid imbalances that cause the thyroid to produce either too much or too little of its hormone. Since the thyroid hormone plays such a critical role in a number of vital body functions, an imbalance can severely impact health and wellness. The majority of people with a thyroid disorder suffer from hypothyroidism. This is defined as underactive thyroid hormone production. Without enough thyroid hormone, the body’s metabolism and other important functions begin to slow. 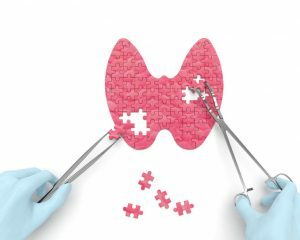 Hyperthyroidism is the less common form of thyroid disorder that occurs when the body produces far too much of the thyroid hormone and speeds up the body’s functions. Signs of hypothyroidism and hyperthyroidism can be subtle or obvious, but it’s not always easy to correlate the symptoms with a thyroid problem itself. Many people assume they’re just suffering from stress and age. If your thyroid isn’t producing enough of its hormone, you will likely struggle regularly with weight gain and the inability to lose weight. Perhaps you blame yourself for not exercising right, or you assume your food choices need to change, but the truth is that a deficiency of thyroid hormone has slowed your metabolism to a crawl. This might also cause you to feel fatigued day after day, despite sleeping 8 to 10 hours a night. With weight gain and fatigue often comes depression, anxiety, and mood swings. Fortunately, you can identify your issue with a lab test. 24/7 Labs offers quick and simple blood tests without any insurance or script required. Just call (631) 357-3332 to learn more about receiving a comprehensive thyroid test from 24/7 Labs in Tampa, Florida.